Pinterest marketing has transformed the fortunes of many businesses. BUT, can you believe that right now only 500,000 businesses are actively marketing on Pinterest? 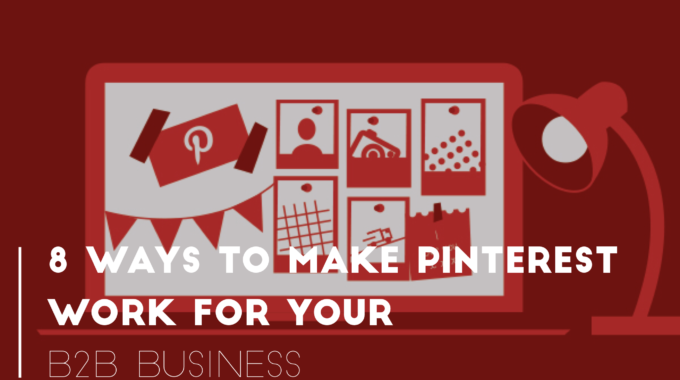 This leaves a large part of Pinterest for Business untapped. It is a powerful yet fairly underutilized tool and many businesses are still not using it to their full potential. While many brands— especially ecommerce — know how to use it for B2C marketing, the social bookmarking platform offers untapped opportunities for B2B marketing as well. This infographic brought to you by our friends at Ghergich&Co and Exact Target will let you know how Pinterest marketing can work best for your company.